This latest collection of proceedings provides a state of the art review of research on inverse problems in engineering mechanics. 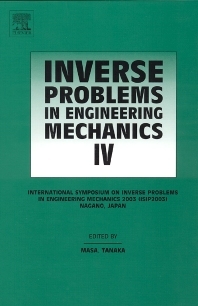 Inverse problems can be found in many areas of engineering mechanics, and have many successful applications. They are concerned with estimating the unknown input and/or the characteristics of a system given certain aspects of its output. The mathematical challenges of such problems have to be overcome through the development of new computational schemes, regularization techniques, objective functionals, and experimental procedures. The papers within this represent an excellent reference for all in the field.